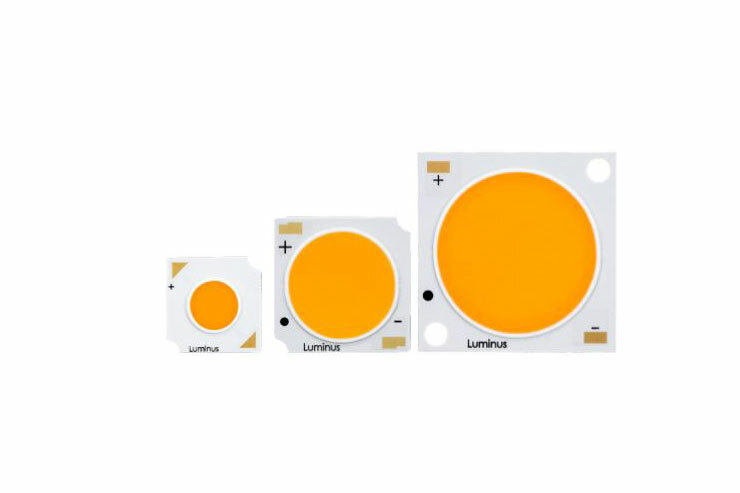 Luminus Devices has released its third proprietary spectral technology for COB LEDs called PerfectWhite™, which closely replicates the visual characteristics of halogen lamps (3000K). When compared to halogen, PerfectWhite COB LED was preferred by lighting designers in testing at both Light + Building in Frankfurt / Germany (March 2018) and Lightfair in Chicago / USA (May 2018). Though the spectrums are a virtual match – Luminus filled the cyan gap – PerfectWhite’s color point is slightly below the black body locus and as a result, there’s no green/yellow tint that is common to halogen. A better halogen light has long been a wish of the lighting design community and PerfectWhite COB LEDs delivers this without infra-red, without green/yellow tint and without ultraviolet radiation. Applications that are a perfect match for PerfectWhite COB LEDs are therefore Museum & Art Work lighting and specialized retail or commercial lighting.